Situated on one of the highest points of Historic Saint Helena and just over the bridge from LadyGÇÖs Island lies an unparalleled 70+ acre estate for those seeking privacy, acreage and long views across the low country marsh. The stately French Country Style home reveals itself from Live oak lined driveway as it winds around the spring fed pond, instantly settling the mind and spirit.In the main house, there are 4 bedrooms, 4 full bathrooms and 3 powder rooms. The 3 car garage has 1 bedroom and 1 1/2 baths, ideal for on site caretaker.Prime property for conservation easement and land protection. In the heart of the Lowcountry, this elevated home takes in views of Port Royal Sound towards Hilton Head Island. Spectacular sunsets await you from nearly every room. the stately front entry gives way to total relaxation in the true Lowcountry style. Formal dining blends to the great room and massive porch beyond. The newly remodeled kitchen features cherry cabinetry and gorgeous granite surfaces. Built in appliances and pantry complete an elegant look. Gleaming tiger wood floors flow through the entire living space. There is parking for multiple vehicles and a boat on the garage level. Relax in your inground pool overlooking a private dock. Beautiful new home completed in Aug of 2018. Owners customized an Allison Ramsey plan. The mahogany front door welcomes you. Upon entering the front door you immediatly are drawn to the glass wall overlooking the marshes of the Beaufort River, with distant views of the Intracoastal waterway. The office could easily be a 3rd bedroom, as per the original plan. One of Beaufort's best waterfront communities. Not in AICUZ...very quiet! Only $125 per SF! You can't beat this price anywhere for a quality home situated on the marsh with an elevator. This home is perfect in many ways. It will accommodate a lot of people. There is a separate living area upstairs. Garage parking for 4 autos plus a boat. Awesome screened porch with marsh/water views. You have access to deep water 24/7, a beautiful community pool, dock, ramp, observation tower, walking trails, club house and tennis. This is a play-ground for the entire family. Less than 15 minutes to downtown Beaufort. Cruise over to Hilton Head by boat. There is so much to say about this beautiful, gated community. You can build your dream home on this .78 Acre deep water lot located in Bermuda Bluff Development on St. Helena Island. Bermuda Bluff is a beautiful, gated community located just 20 minutes to Historic downtown Beaufort and 15 minutes to Hunting Island State Park. It also offers a great amenity package including community pool, dock, boat landing, clubhouse, walking trails and tennis courts . Already in place is a shared private dock on deep water creek, with a private float, thus allowing direct access to Port Royal Sound and a short boat ride to Port Royal, Cat Island, Downtown Beaufort and points beyond. Lovely wooded tract with almost 10 acres located on Saint Helena Island in Wallace Plantation area. Property is only 2/10 of a mile from the Wallace Boat Landing. Come enjoy the country life on your own private retreat or have property divided to build several homes. Land has not been cleared and is ready for endless possibilities. 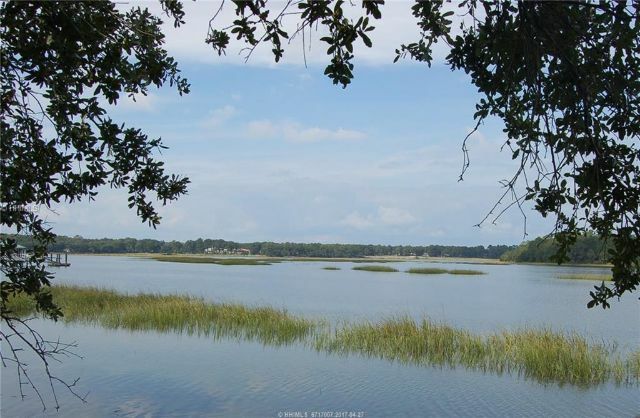 This is a perfect lot for building you dream home in the low country. This lot/land is located at 278 Fripp Point Rd, Saint Helena Island, SC. 278 Fripp Point Rd is in Saint Helena Island, SC and in ZIP code 29920. This property has a lot size of 0.35 acres. Lakefront lot ready for your dream home. Level lot...almost an acre, with nice trees. Bermuda Bluff is a small, gated community located on the Beaufort River. Amenities include boat ramp, dock, pool, tennis, and observation tower. Stroll around this lovely community on the walking trails and enjoy all the low country has to offer. Less than 15 minutes to town. So close but far enough away so you can see the stars at night. This small, gated community is paradise to some and a dream to others. Make your dream come true! Gate code required.